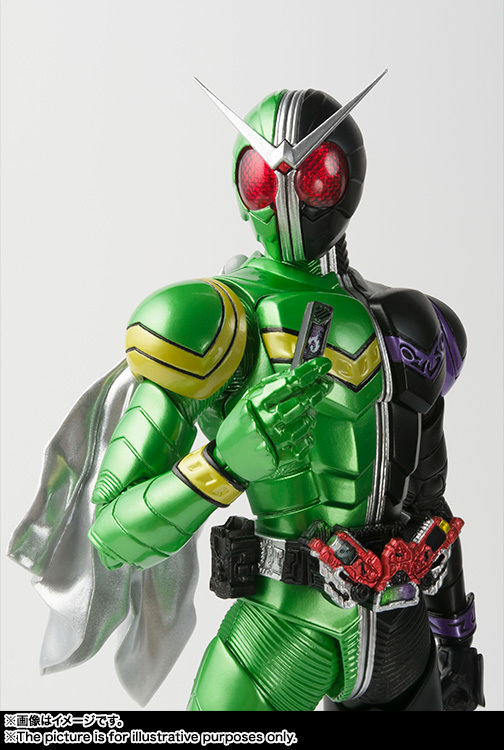 Now it's once again time to count up your crimes with this renewal version of S.H. 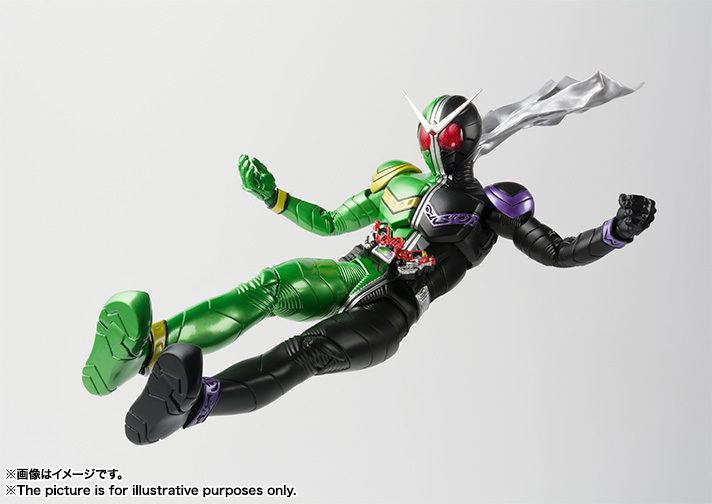 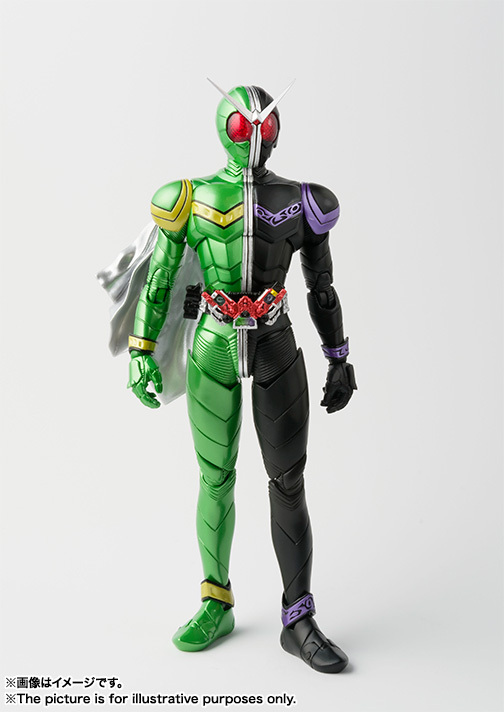 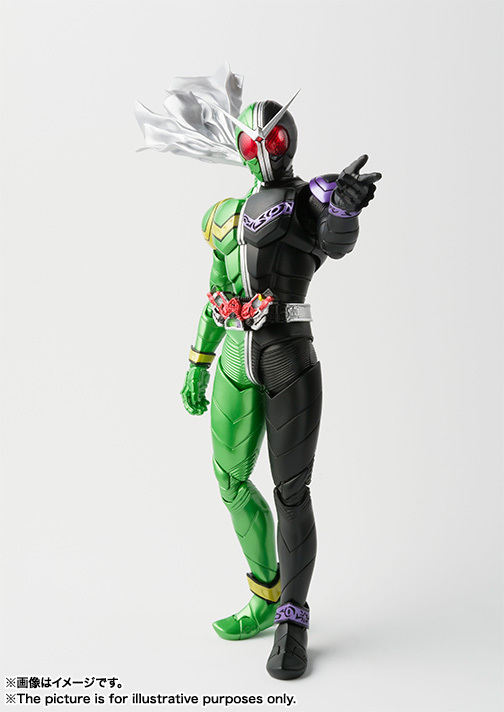 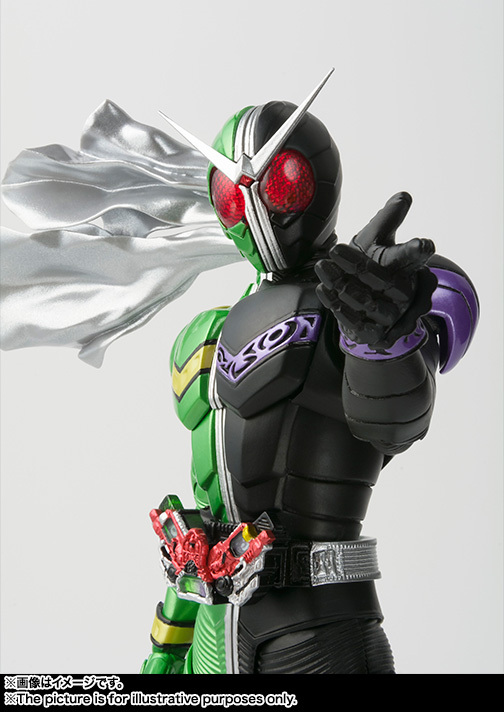 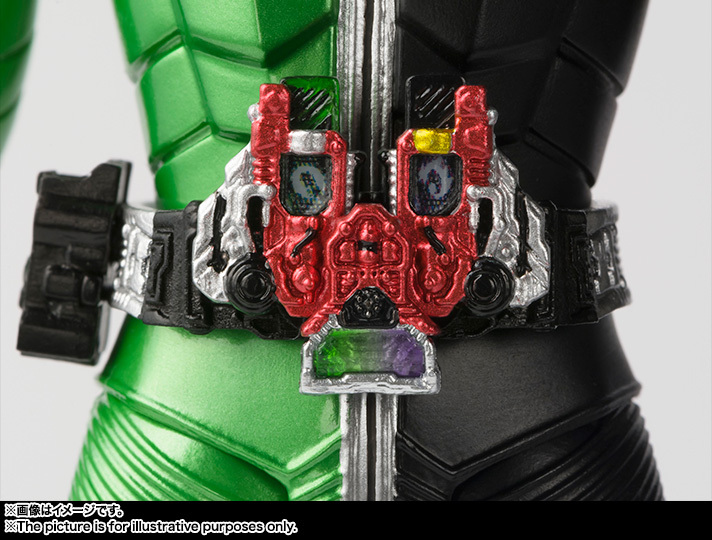 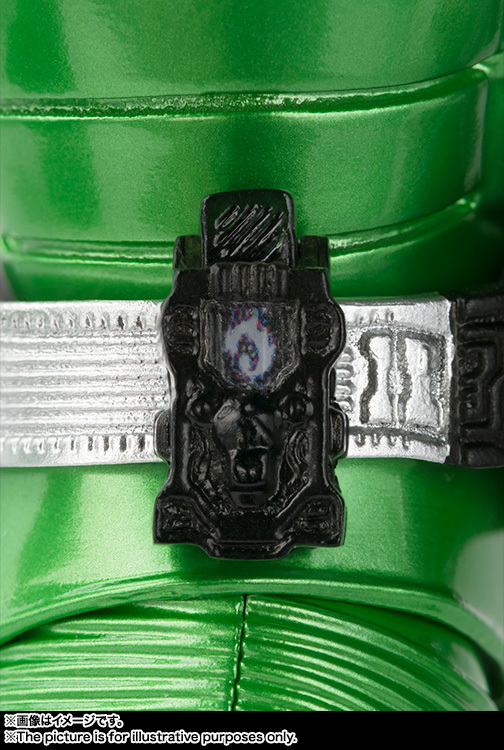 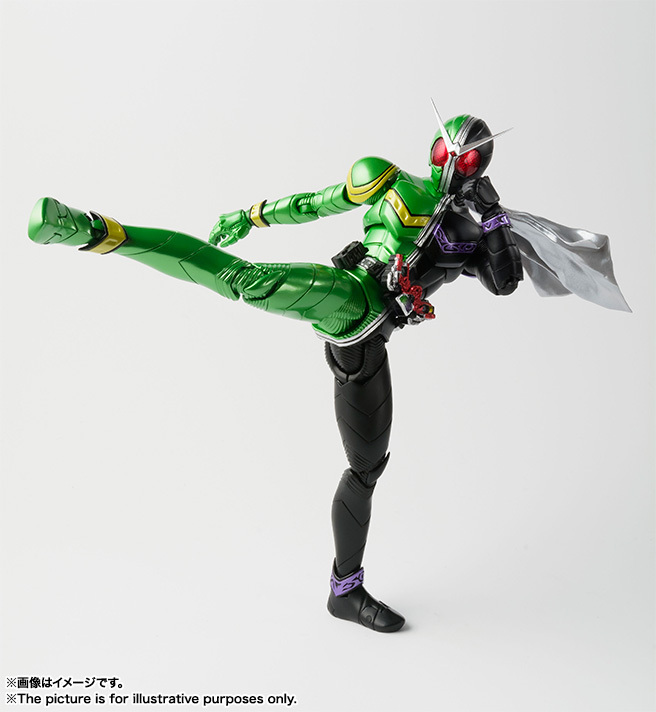 Figuats Kamen Rider W! 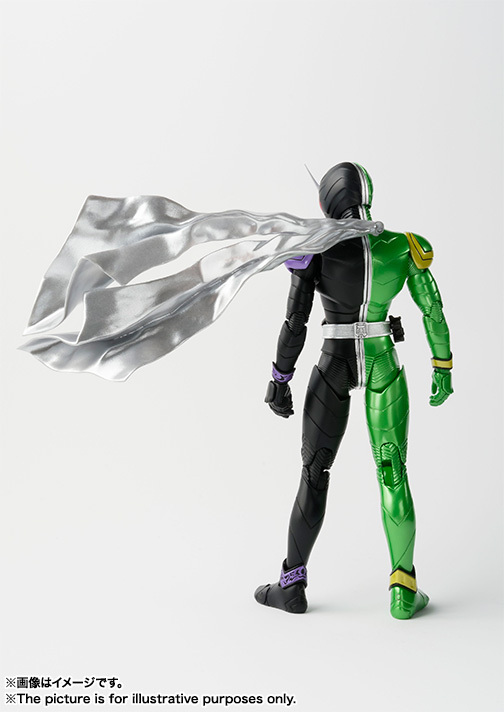 Features completely revamped sculpt with extra detail and more lifelike proportions. 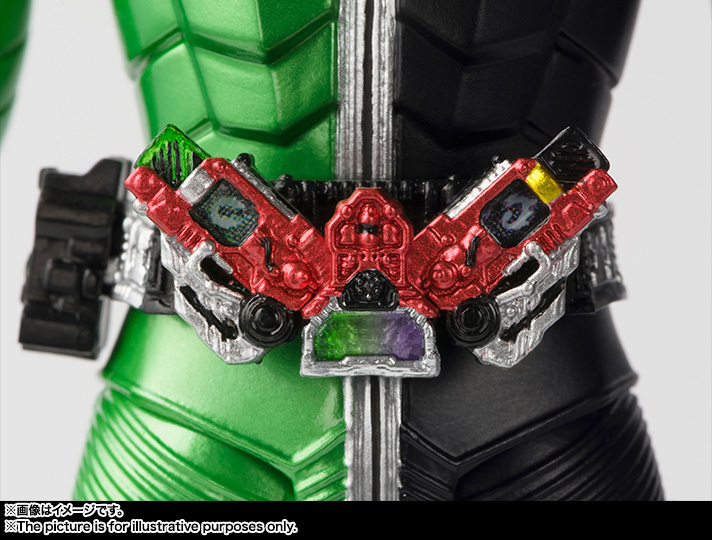 Includes W Driver with tiny Gaia Memories, Muffler parts, and extra hands. 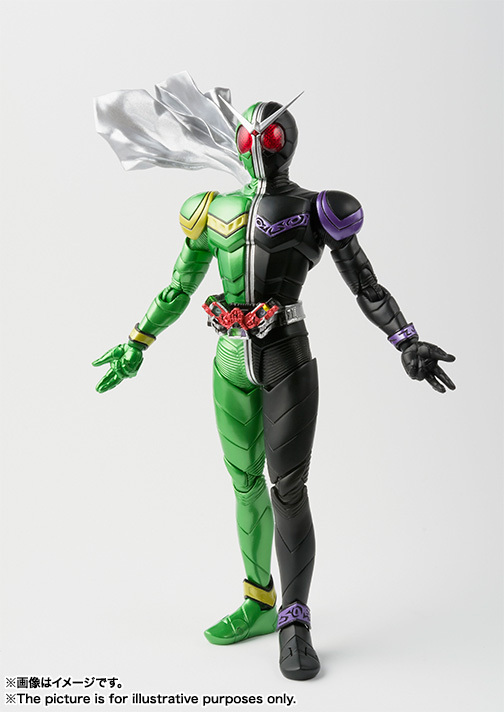 Coming October 2016 for 6,000 yen.